The CMS is letting some states off the hook when it comes to complying with an Obama-era rule that's meant to ensure Medicaid beneficiaries have adequate access to care. In 2015, the CMS finalized a rule requiring states to assess how easy it is for fee-for-service Medicaid beneficiaries to receive primary care; pre- and post-natal obstetric services; and specialty and behavioral health care, among other services. On Thursday, the CMS issued a proposed rule that would exempt states if the majority of their Medicaid population received services through managed-care plans. 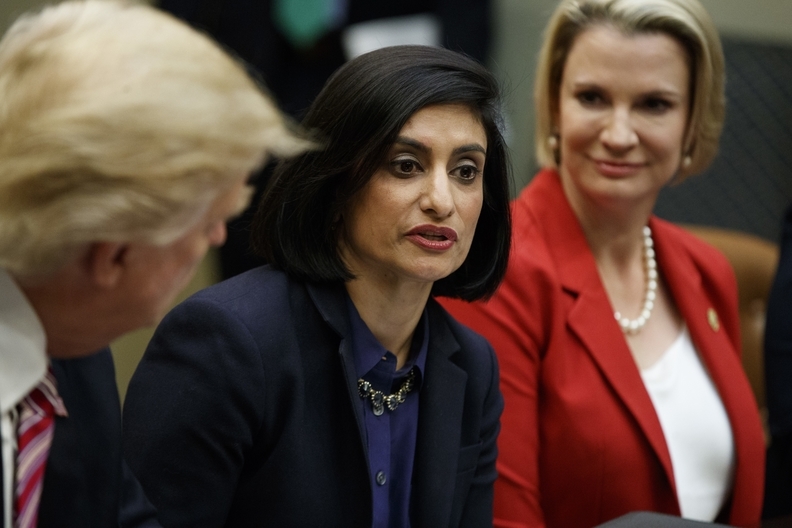 "These new policies do not mean that we aren't interested in beneficiary access but are intended to relieve unnecessary regulatory burden on states, avoid increasing administrative costs for taxpayers, and refocus time and resources on improving the health outcomes of Medicaid beneficiaries," CMS Administrator Seema Verma said in statement. Since the finalized rule's release in 2015, states with large managed-care populations have pushed back against the rule saying it would affect only a few thousand of people in their respective states. Of the 75.2 million beneficiaries in Medicaid in 2016, 73% were in private plans, up from 55% in 2013 according to PricewaterhouseCoopers. In the final access rule, the CMS estimated it could take states as long as 15,000 hours to develop the plans. If the changes are finalized, states with an overall Medicaid managed-care penetration rate of 85% or greater would be exempt from most access monitoring requirements. The CMS estimates that 17 states including Arizona, the District of Columbia, Florida, Kansas and Kentucky fall into that category. States that cut Medicaid rates by up to 4% in one year or up to 6% in two consecutive years will no longer be required to conduct an analysis to determine if access to care will be harmed by the reductions. "We generally believe changes below the 4% threshold to be nominal and unlikely to diminish access to care," the CMS said in the rule. In total, the proposed changes are estimated to reduce state administrative burden by 561 hours with a total savings of over $1.6 million. Comments on the rule will be due by May 23.